For all your wild game and domestic meat processing needs in Northern Arizona. Located in Flagstaff, Arizona, Casey's Processing is family owned and has been serving Northern Arizona Sporstmen since 1995. Trust us with all of your domestic and wild game processing needs. We are located in Flagstaff, AZ and we are licensed, insured, and inspected by the Arizona Game and Fish as well as the Arizona Department of Agriculture. We specialize in custom sausages, Jerky and Slim Jims with over 15 varieties. Tenderizing and Vacuum Packing is also available. Hours: 7:30am until 7:00pm, 7 days a week during all general hunts/archery. Limited opportunity and out of state, please call for hours of operation. For Custom Farm Kill, please call 928.526.8348. Please call us for pricing options. For Custom Farm Kill or Mobile Slaughtering services, please call 928.526.8348. Mobile Tripod License through the Arizona Department of Agriculture. Your taxidermy studio of choice when quality counts! We specialize in custom mounts to meet your specific needs including North American, African and Exotics. 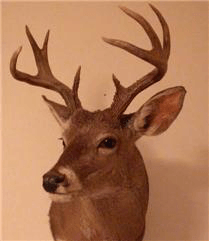 We create Lifesize, Half-lifesize, shoulder mounts, horn mounts and Euros. You can rest assured knowing when you bring your trophy to Mount-N-View Taxidermy, it will be crafted by Chris Favour personally. Arizona Game and Fish Department, managing today for wildlife tomorrow. CouesWhitetail.com - The leading internet resource for information on Coues White-tailed Deer! Bull Basin Archery in Flagstaff Arizona Serving all Your Archery Needs: At Bull Basin Archery we carry all your favorite bow brands including Mathews, Hoyt and Bowtech. We have a full service archery pro shop to keep your bow at top performance. We also have an indoor air conditioned archery shooting range where you can try out any of our bows before you buy to find out what bow fits your needs the best. You can also shoot your bow after it is serviced to make sure it is set up just the way you want. Visit our store in Tucson Arizona and meet with one of our archery professionals to help you with all your archery needs. As the dynamics of hunting change each & every year, more outdoorsmen find themselves looking for new opportunities. Whether you are helping a friend or pursuing your own adventures, the facts are many of the places we hunted yesterday have developed unique dynamics. As avid outdoorsmen, we have found we are traveling further & spending more money to pursue our passion. We don't believe we are alone... 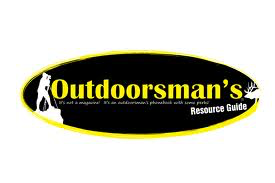 The Outdoorsman's Resource Guide is a state specific annual publication. We use it as a real solution to help us find resources while out in field. Successful hunters that fill their tag now have a unique opportunity to give back to the community. Donations of wild game meat from individuals in 2002 exceeded 6,600 pounds, providing over 26,000 quarter pound servings. Monitory donations cover the cost of processing, packaging and freezing of the meat. The meat is then available at no cost to needy clients through our emergency food box program. With your generous support, we can stop hunger in its tracks. The meat is then available free of cost for pick up by The Northern Arizona Food Bank. Informative site with facts, pictures, tips, multimedia and scientific data on this species. Custom-printed topographic (topo) maps, and USGS, US Forest Service Topos. Guns Online: Over 26,000 guns for sale and gun accessories. Find pistols, rifles, suppressors, optics, ammunition and more. The Premiere Hunting, Fishing, Camping and Outdoor Gear Outfitters. If you are looking for a game processor in east Mesa, this is the place to go. He's a great processor who can get your animal processed in the valley.